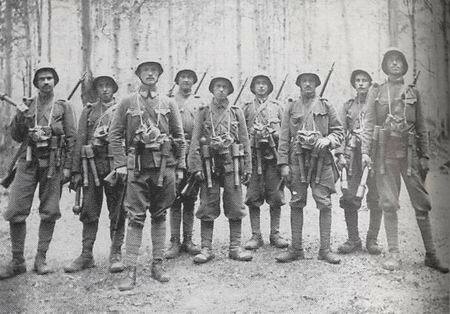 On 15 March the National Army Museum will be running a whole-day seminar entitled The Armies in 1914. The event runs from 9.30am until 5.30pm and is free to enter. On the agenda are a series of talks from a range of distinguished historians. The National Army Museum in association with King’s College London and the British Commission for Military History (BCMH) will examine the state of preparedness of the armies of Europe on the eve of the First World War. Discussing the latest thinking and reviewing first-hand accounts, speakers will examine how the great powers and lesser-known states readied themselves for war. The strategic plans, military doctrine, social composition and equipment of the armies in 1914 are some of the topics to be discussed. Admission will be on a first-come-first-served basis on the day of the event. Tickets are not required. This entry was posted in Events and tagged Centenary of the First World War, event, First World War, King’s College London, National Army Museum, news, seminar, the British Commission for Military History, UK News, WW1. Bookmark the permalink.